How much time have you spent looking under the hood of your car, truck or SUV? Have you been intimidated? Here’s your chance to score a guided tour of the inner workings of your vehicle! 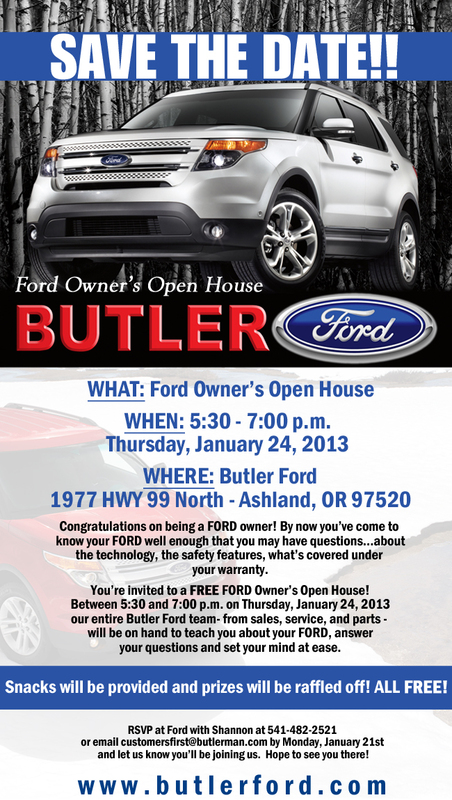 Butler Ford is holding its first New Owners Open House of 2013 this month. Join us the evening of Thursday, January 24th. We’ll have all our sales and service staff on hand to answer any questions you may have about your automobile, its technology, engine capabilities, warranty, or anything else you may be curious about. Plus, you’re guaranteed to leave with swag, and you’ll instantly be eligible to win one of a handful of cool raffle prizes worth up to $195.00. You don’t even have to be present to win! So, RSVP to customersfirst@butlerman.com and let us know you’ll be joining us. See you there!